A family-run business, 2016 marks Independent Volvo Service's 30th anniversary. The team is lead by Vartkes, Koko and Mike. 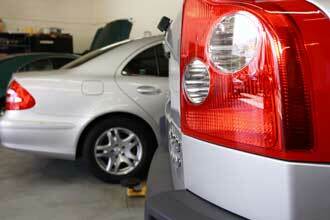 They have a strong desire to meet or exceed your car service expectations. 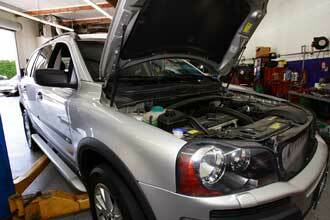 They started servicing Volvo automobiles in the country where they grew up. When they moved to Pasadena it made sense to open a Volvo service shop here. They found Volvo customers to be well educated and loyal. They could not have picked a better location than Pasadena to start their business. 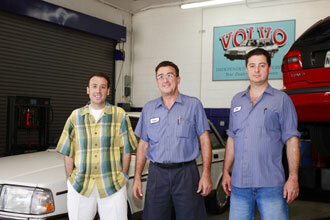 Their business grew through referrals and word of mouth some customers refer to them as their "car husbands"). In 2001 they expanded their business, doubling the size of the service area, to accommodate Mercedes Benz and BMW owners. Independent Volvo Service is the place to bring your Volvo, Mercedes Benz, BMW and other German manufactured cars for quality service. Independent Volvo can assist you no matter where you live, Pasadena, Arcadia, Glendale, Monrovia, San Gabriel Valley, or Santa Monica (a customer from SM has her family's 3 Volvo's serviced here).